A secured card can become your backup plan if your credit score has dropped and your credit history is crying out for help. Although your existing credit may not be ideal, don’t despair. To improve your financial well-being, you need nothing but a secured card, a couple hundred dollars, and the motivation to reach your goal. How can you put these three ingredients to use? Read on. What is the difference between a secured and unsecured card? Who may qualify for a secured credit card? The marketplace is full of various secured credit cards. But when you are shopping for such a card, make sure you choose the best one. 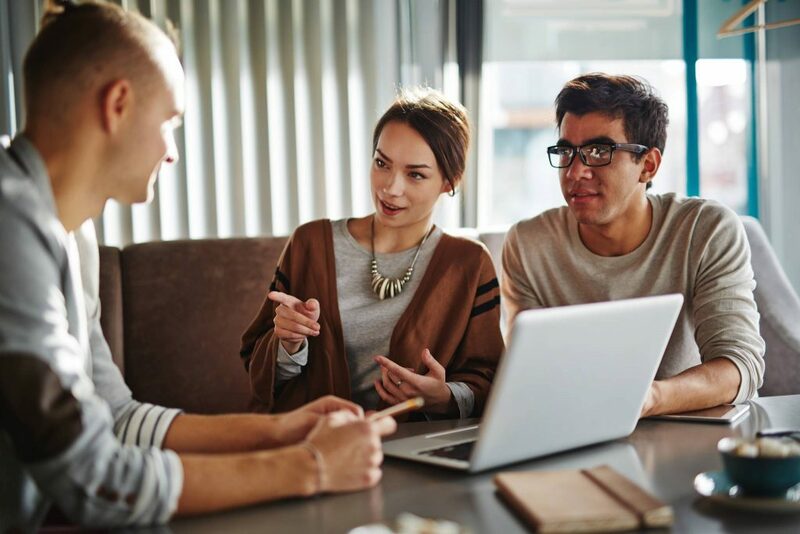 To make the right choice, first decide what you need it for: to build your credit history from scratch or bring it back to life after serious damage. Second, it’s important to find out whether or not you qualify. In some cases issuers may carry out an assessment of your credit to decide whether or not to approve you. And even if this check isn’t as meticulous as it might be with a top-tier product, with a few cards, you can avoid a credit check altogether. Third, make sure the issuer reports your payment activity to the three major credit bureaus. Note that all the cards we are going to recommend below come with this feature. Now you’re aware of three essential points and can move on to choosing the best option for you. Financial troubles happen. If you have experienced one, it doesn’t mean your credit is irreparably ruined. 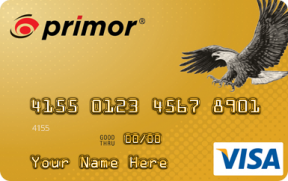 To get everything back in order, look closer at the primor® Secured Visa Gold Card, which comes with no credit check. The $49 annual fee is a small price to pay for having a chance to restore your credit. The minimum deposit required to open an account is $200, and APR is at a fixed rate of 9.99%. This is one of the lowest rates on the market and may relieve the consequences of carrying a balance. The OpenSky® Secured Visa® aspires to become a great tool to help you leave your financial hardships behind. With this card, you’re apt to have your score improved in as little as six months. Obviously, to reach the goal you need to be punctual with payments. The application process is simple: you need 5 minutes to fill out a 4-step online application form. Once approved, pay a deposit (the minimum one is $200), but note that a $35 annual fee will be deducted from it. This card can’t be directly converted to an unsecured one. However, nobody prevents you from applying for a new unsecured card with another bank once you improve your score. 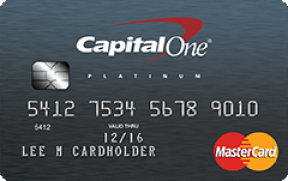 If you’re looking for a low deposit, think about getting the Capital One® Secured Mastercard®. This semi-secured card allows you to pay as little as $49– $99 and get a $200 credit line. Good news: you won’t be charged an annual fee. At the same time, you will have an APR of 24.99%, which is fairly high, but you can always prevent yourself from incurring interest. The way out is simple. All you need is to make only small purchases with your card and pay for them in full as soon as possible. USAA Secured Card Visa Platinum® See terms on USAA’s secure website. 11.65% - 21.65% based on your creditworthiness and other factors. For excellent, good, fair, poor, limited, no credit score. 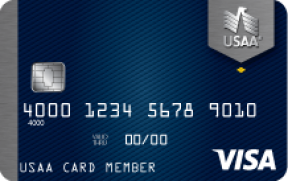 Unlike prepaid cards, USAA Secured Card® Visa Platinum® is a real credit product. To qualify for it, you must be a member of the military or an eligible family member. 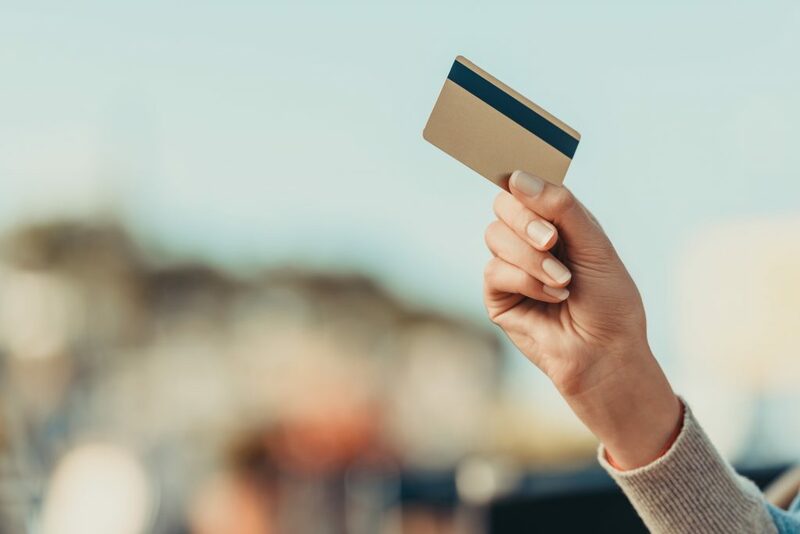 The card carries a $35 annual fee, but it saves you from a foreign transaction fee, which makes it convenient for use outside the United States. APR for purchases is variable and ranges from 11.65% - 21.65%. By the way, there is no penalty APR. This way, you can sleep soundly, even if any late or missed payments sneak into your history. 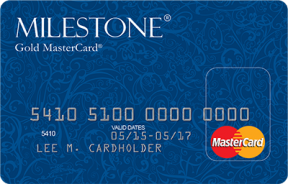 Milestone® Gold MasterCard® See terms on Mid America Bank & Trust Company’s secure website. To improve any score you may have, consider the Milestone® Gold Mastercard®. They come with an annual fee of $75 for the first year (and then shifts to $99). Which fee will be applied to your card depends on your credit assessment. Note that the annual fee can be divided between the account opening fee (it’s charged before your account is opened) and the actual annual fee you pay afterward. To know what to expect, get prequalified. The issuer claims that prequalification doesn’t hurt your FICO score but helps them estimate your credit capability. APR is the same within all the cards of this line—23.9%—and the minimum deposit is $300. As a nice bonus, you can choose a unique card design for free. Before you submit an application form, decide what problem you would like to solve. On the whole, all secured credit cards serve one global aim: they help you make your credit excellent fast and at a low cost. Still, it’s obvious that one card can’t settle every situation: each of us has unique needs. That’s why you should choose one that is geared to assist you with your specific situation. And one more thing we must mention: don’t chase brands. You should only prioritize sticking with a brand if it offers an attractive upgrade option or other valuable incentives. Otherwise, your main goal is to get the plastic tool that will best help you work out your credit. It’s not the brand, but you who are responsible for the result. With this in mind, look through our best selections by category to make the right choice faster. 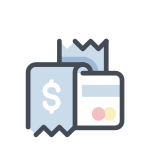 Secured cards are easy to understand: they come with the same paying and credit-building capabilities as regular cards. 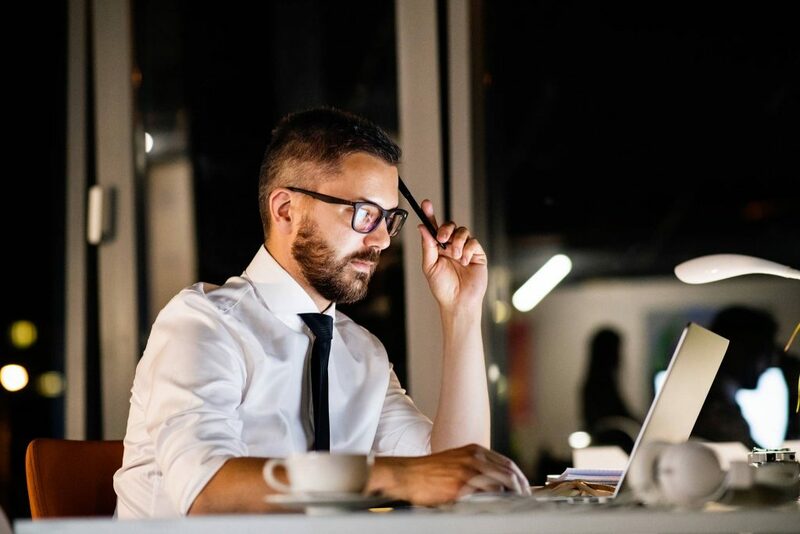 But for the most part, they are designed either for novices who are starting their credit from scratch or for individuals with financial hardships that have resulted in bad credit. Precisely in these situations secured credit cards shine. To open an account you will need to pay a deposit. Why should you have to do this? Someone who is in search of a secured card is likely to be a risky customer because they don’t have solid credit that speaks for itself. For fear that you may cause a loss by not paying your debt, the issuer claims a kind of collateral. This not only covers overdue payments, but also sets your credit limit. As a rule, these amounts are equal: for example, you pay a $300 deposit and get a $300 limit from your bank. When you manage to establish your credit, you can close your account and get the deposit back. Note that any delinquent payments are subtracted from it. If you want to be paid back in full, avoid any delinquencies. 1. Keep an eye on your payments. Your payment history comprises 35% of your FICO score. 2. Use one-third of your credit limit or less. Credit utilization rate is another significant factor that makes up 30% of your FICO score. 3. Get into the habit of paying balance in full. Making only minimum payments may lead to incurring high interest on purchases. Once you see that your score has risen, upgrade to an unsecured card. If this option is unavailable, close the account and apply for a regular card. But more about this later. Generally, both types have the same capabilities: you borrow money, use it, and repay the debt. Still, there are core distinctions between them in terms of the goals they help to reach. Secured credit cards are targeted at customers with unattractive credit. That’s why there is a higher probability of being approved. You needn’t have a perfect financial background, but instead you have to pay a collateral to cover any losses. On the contrary, unsecured cards are geared toward those who have an attractive score—680 or higher. For this reason, you don’t need to pay a deposit, because you’re already seen as a reliable cardholder. Moreover, decent regular cards often come with various rewards. Though the issuer trusts you with its money, terms and conditions are quite strict: anyway because they still incur a risk by lending you money. For this reason diverse fees and penalties are implemented to make you feel more responsible for your debt. Once you have increased your score, you can move forward. You have two options: a direct conversion to an unsecured card or account closure followed by opening a new unsecured card. (It’s important to note that the first option is not offered by all issuers.) Put your finances in order and make a request for a switch, but when you make a transition, don’t forget to get your deposit back. Your request for conversion may be rejected if your credit score is still too low or if the creditor does not allow conversion. If your score is the problem, keep improving it until it seems appealing to the issuer. If the creditor does not allow conversion, the only way to graduate to an unsecured card is to close your account and open a new one. Note that closing accounts impacts your credit insofar as you hurt your account-length factor, which comprises 15% of your FICO score. But this will take only a few points away. If you don’t want to keep extra plastic in your wallet, get rid of it—in the long term, nothing terrible will happen. But if you’re planning a major purchase in the near future, it’s better not to risk it and keep your account active. 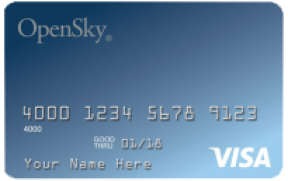 Start rebuilding or restoring credit history with the OpenSky® Secured Visa®. You don’t need to undergo a credit check or have an account with the bank to get a card, which makes the application process easier and less time-consuming. 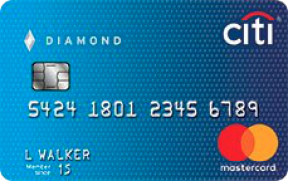 The card comes with a moderate $35 annual fee and APR of 19.14. Sadly, there is no graduation option, and once you improve your score, you’ll need to close the account and open a new one. With responsible use, this may become the perfect tool to establish your credit history. You don’t need to have an excellent score to qualify for it. 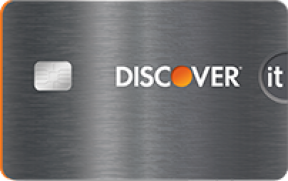 The best feature of this card is that it has no annual fee and requires the lowest deposit possible to open an account. It means there’s an opportunity to pay less and to get more. Be it a $49, $99, or $200 deposit, you still can get $200 of credit. However, it’s always up to the issuer who can become entitled to the best offers. After 5 months of responsible payments, they may increase your credit limit with no additional deposit. A relatively high APR of 24.99% should not scare you: avoid carrying the balance and you’ll be fine. What makes this card appealing? It boasts a unique set of rewards that other cards of this segment don’t possess. Not only can it improve your score, it also gives you the chance to earn cash back on every purchase you make with it. Taking into account that no annual fee is charged with this card, the benefits it offers are yours for free. One potential negative is the card’s high APR of 24.99%. Still, everything is in your hands. Repaying your debt in full each month will save you from incurring extra interest. 2% cashback on restaurants and gas. Citi® Secured Mastercard® See terms on Citi’s secure website. 24.49% for transfers completed within 2 months from date of account opening. For fair, poor, limited, no credit score. Bankruptcy is allowed in the past 2 years. Pay as little as 200 with this card and you’re on your way to an excellent score. If your initial score is painful to speak about, don’t worry—it shouldn’t be a hindrance to being approved. But note that to qualify you can’t have had any bankruptcies in the last two years. The good news: no annual fee will be charged, which considerably reduces your expenses on card maintenance. The interest rate for purchases is high, at 24.49%, so make sure you’re not going to keep outstanding debts on your account. 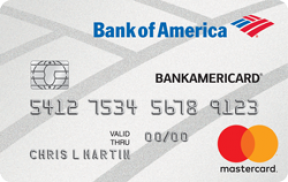 BankAmericard® Secured Credit Card See terms on Bank of Amerika’s secure website. 22.24%. This APR will vary with the market based on the Prime Rate. Have your financial troubles settled for a $39 annual fee with this card. You may think it’s unnecessary to pay for using a card that carries nothing except your “own money.” No rewards, not a single hint of any perks. Well, from one point of view, this is true. But we think it’s quite a bearable sum to pay for the sake of credit recovery. Moreover, Bank of America claims to report your activity to bureaus, so your responsible and diligent card management won’t go unnoticed. Fees of any kind. Avoid unnecessarily high fees, because paying large sums won’t help on your quest to establish better credit. APR for purchases. High APR isn’t uncommon among secured credit cards, so do a little research to find one with low interest. Thus, you may avoid incurring interest on purchases. Minimum deposit. A deposit acts as collateral and determines your credit limit. It normally starts from as low as $200 and can reach a cap of several thousand dollars. Reporting to credit bureaus. Without reporting to Equifax, Experian, and TransUnion, your secured card turns into a usual debit card and does not contribute to your credit history. Upgrade option. This feature isn’t essential, but it can help you avoid closing the account and, therefore, losing points on your score. The rules are simple: you must be at least 18 years old (or 21 in some states) and have a social security number. In some cases you need to have a certain income that exceeds your credit limit. If the card requires a credit check, the issuer will take into account your credit background when considering your application. On the whole, the process is simple, and secured cards are highly accessible. Commercial banks are well-established financial entities with multiple branches across the country and abroad. They offer a wide array of diverse secured credit cards to choose from. Still, they may come with high fees and interest rates. For this reason, never take the first card that catches your eye: choose one with no annual fee or without a credit check. Small banks don’t lag behind. They offer the same services as big banks, but at lower cost. What sets them apart from major banks is their personalized attitude toward you as a customer. In view of their friendly service, you’re more likely to be forgiven for poor credit and get approved. However, the line of secured credit cards is not as extensive as that offered by commercial banks. 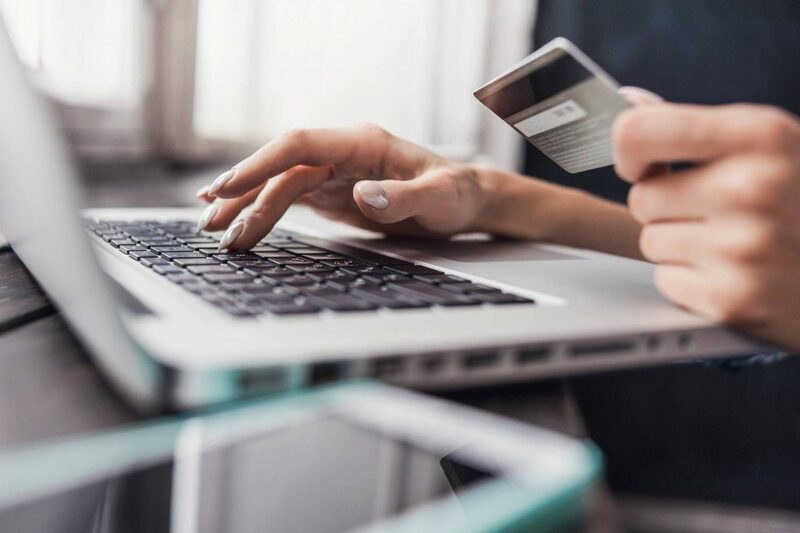 If you prefer doing everything online, consider an online-only bank.They aren’t tied to a brick-and-mortar location and make your access to the bank convenient and fast. They are often able to offer lower fees and APRs because they save greatly by not having to operate in a physical location. Moreover, they are more loyal to potential cardholders and are not very selective when considering your application. Credit unions offer the same products and services as banks. Along with community banks, credit unions appreciate you as a member and try to do their best to retain you. They are likely to offer enticingly competitive APRs and low fees. 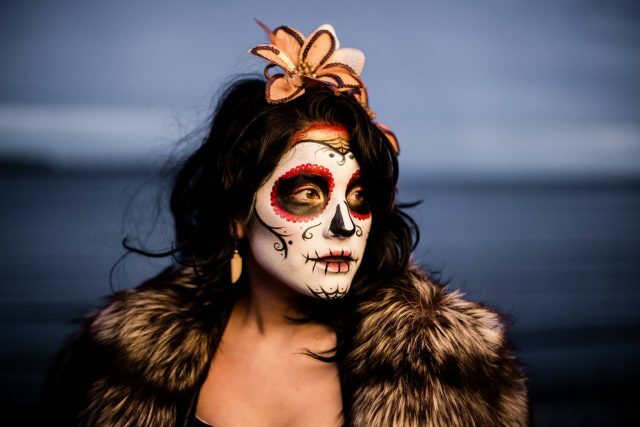 In addition, they are likely to be attentive to your financial and personal background (the same can’t be said about major banks with their impersonal attitudes). In this way, credit unions try to contribute to your well-being. To join them, you need to meet certain requirements and pay a one-time membership fee. For the most, part getting approved for a secured card is quite simple. Still, it’s always up to the issuer’s discretion whether you qualify or not. On the whole, the situation is not as strict as it can be with unsecured cards: some issuers don’t even require a credit check, which makes the process far easier and less stressful. The interesting part begins once you start using a card. Yes, you’re supposed to use your new plastic like an unsecured card in your everyday spending routine. However, there are several simple but important rules to follow. Do your best and make all payments on time: timely payments comprise 35% of your FICO score. Keep your utilization ratio low. Don’t use more than one-third of your monthly credit limit in order not to raise doubts about whether you’ll able to pay for all those purchases. Try to make small purchases instead of big ones: shopping isn’t something a secured card is geared toward. Make small purchases and pay for them in the next few days. Always check whether your issuer sends reports on your account activity to the three credit bureaus monthly. These provide creditors with information about your account activity to calculate your score. Choose a card without an annual fee (or with a low one). There is a wide range of cards on market—pick one that won’t hurt your budget. If you’ve decided to start building your credit from scratch, you’re on the right track. Why is it so important? 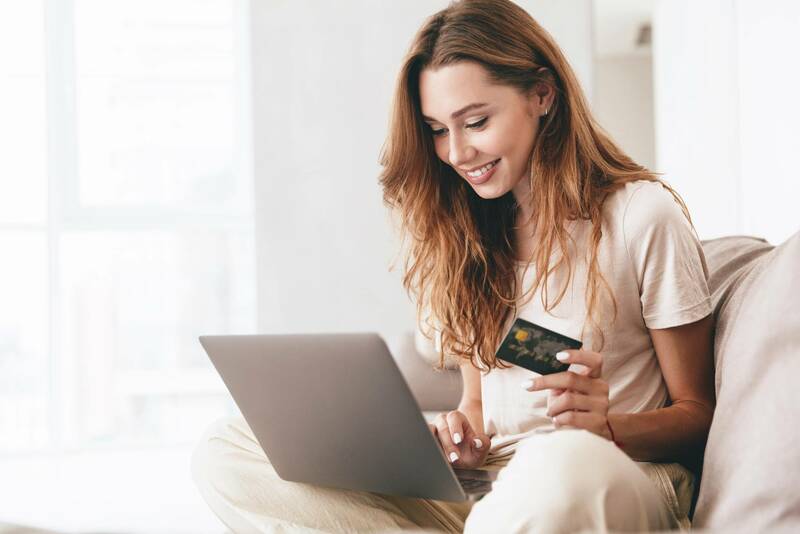 Having a solid credit history and an excellent score means you are responsible for your financial well-being and your spending habits are healthy. This can contribute to your employment, as well as your ability to acquire important purchases like a car or a house. Moreover, you can easily experience free travel. Once you have an excellent score, get a decent rewards card and taste all the travel perks it may offer. To some extent, building credit is a challenging activity. But let us assure you that it’s not too complicated. Yes, you can “cheat” a little and become an authorized user on somebody’s account. In that way, you are not fully responsible for the account standing—the primary cardholder is. It’s a good way out for those who are under 18 or don’t need credit. However, if you’re already 18 and willing to prove your financial maturity, do it independently with the help of a secured card. Fortunately, there are only a few rules to adhere to in order to get a shiny result. Read on to learn how to rebuild or build credit effectively with a secured card. It’s common practice to turn to a secured card to restore damaged credit. Obviously, it’s far easier to build your credit than to fix it, but nothing is impossible. Even if you have experienced bankruptcy or foreclosure, keep calm. It goes without saying that no magic pill exists (what a pity). But with a little effort you can restore your credit to its past good standing. Choose a card that requires no credit check—fortunately, there are plenty of options to choose from. Be it the OpenSky® Secured Visa® or the primor® Secured Visa Gold, you’ll be in good shape. What’s important is your responsible attitude toward your finances. Show the issuer your diligent behavior by making all payments on time without fail. Then your ideal activity will be reported to credit bureaus and you’re likely to see your score rise. It usually takes anywhere from 6 to 12 months to see notable changes. To see the score rise regularly and without any unforeseen decrease, always pay on time and use only one-third of your limit or less. Keep your account open and in good standing to see your fist results as soon as possible. Also note that the length of your total credit history plays a significant role. If yours is the first and only one, don’t expect a dramatic increase. But if you can’t wait too long, expedite the process by becoming an authorized user. Thus, you make your history longer and accrue points faster. Consider your aims: Do you want to start building credit, or rebuild your credit history? Apply for the card that corresponds to your needs. Pay a processing fee if needed. Put down a necessary deposit that determines your credit limit. If you’re approved, wait for your card to be sent by mail. If you’re denied, get the deposit back and try to apply with another issuer. Once you get your card, use it on a regular basis. Always stick to three important rules: pay on time each time, try not to carry the balance, and don’t spend more than one third of your limit. Once you establish your credit, cancel your secured card and get the deposit back or upgrade it to a unsecured card. Enjoy the privileges of good or excellent credit. We emphasize it once again: secured credit cards are not for spending—they are for establishing your credit. Whether you establish it from scratch or after some damage, it doesn’t matter. To make your credit shine, you need to pay a collateral deposit, follow three simple rules, and have a minimum of six months to spare. We hope your goal is clear and you’re ready to apply for a secured card from our list. The sooner you begin, the faster you’ll see results.